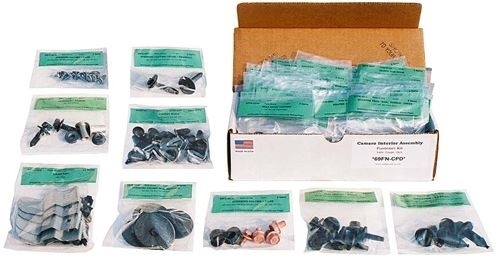 New comprehensive interior assembly fastener package, Correct for all 64 - 65 Chevelle coupe models with standard interior. Kit Contains 224 pieces. Made in the USA.